This edition of Excited about Eating takes us to the historic Elizabeth area of Charlotte to Kennedy’s Premium Bar & Grill. 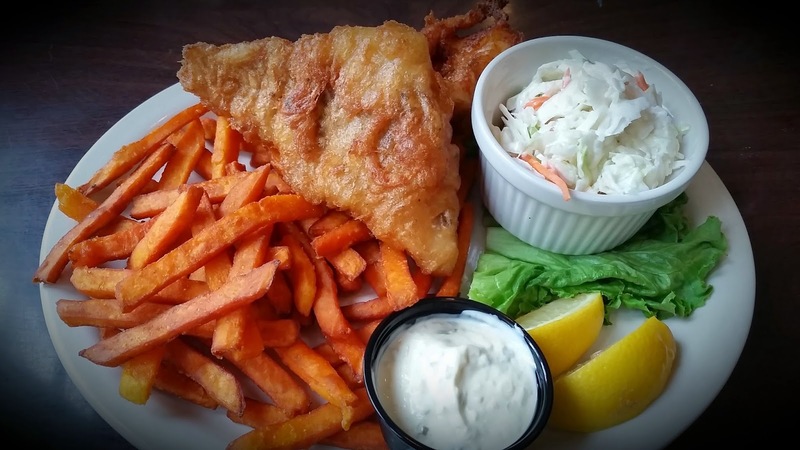 This pub is tucked into a neighborhood friendly area that boasts many family restaurants and has a huge outside deck. Dora here. Wish the sky hadn’t been so overcast because I would’ve enjoyed sitting outside on the gorgeous deck. We started with the Pretzel Bites appetizer served with Queso and Dijon mustard dipping sauces. Dipping in the Queso took the pretzel bites from OK to good. The server warned us that the Dijon mustard was spicy and she was right. Dora here. Phew! Have a tissue handy. The mustard sauce will clear out your sinuses, but I liked it! I was expecting these little nuggets to taste chewy and soft, but instead they were a bit crispy. 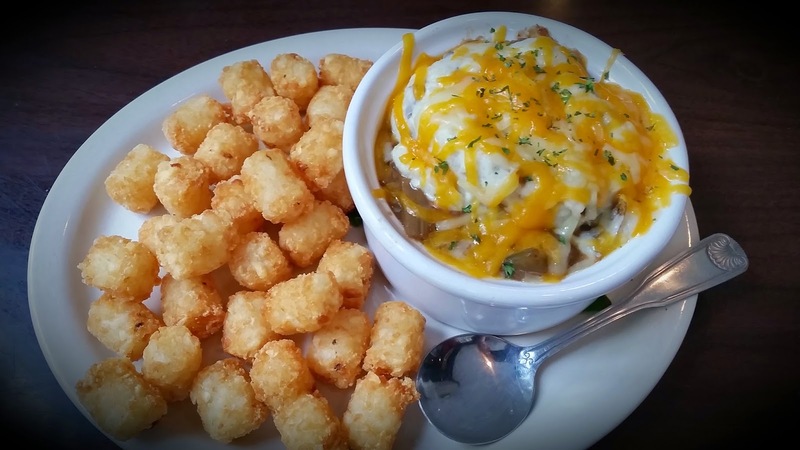 I chose the Shepherd’s Pie with Guinness gravy, layers of beef, mushrooms, carrots, celery, and onions topped with mashed potatoes along with a side of tater tots. The meat was tender and the vegetables cooked so that they still had a crunch. 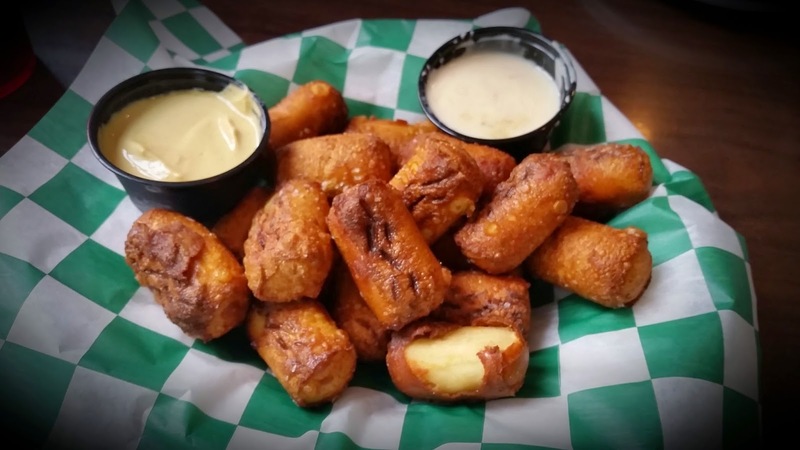 The mashed potatoes were creamy and the tater tots outstanding. My biggest issue with this dish was that it was only lukewarm, causing the flavors not to mix well. I would rate this restaurant 3 forks out of 5 forks for a family friendly restaurant serving good food. Do you set expectations for your dining choices based on a review, recommendations from friends, or perhaps from the name of the restaurant? ← Crazy about Writing: Snickers had her cria today! Enjoy your food posts. I usually base my selection on recommendations from friends. Thanks Ann, we use recommendations too, but we have added quite a few by just driving around the area after we eat at a restaurant.